CuriosaMente is an educational YouTube channel in Spanish active since 2014. Based in Guadalajara, Mexico, CuriosaMente is an invitation to the discovery of science, history and other curiosities, in a very didactic way. 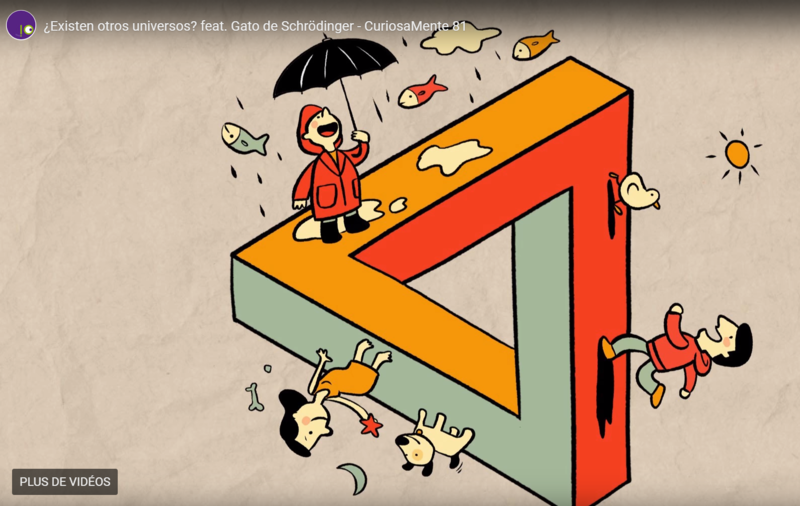 Through videos that do not exceed 10 minutes, made in colorful animations, each week its creators awaken in young and old the curiosity for knowledge and give us a pleasant moment of knowledge. His creator Tonatiuh Moreno, explains through a short interview, his work of realization and his inspiration to create CuriosaMente. Hello Tonatiuh, Can you tell us about your source of inspiration to create CuriosaMente? Since I was a kid I liked the popularization of science, whether in magazines such as Chispa, comics such as Proteo Fuerza 10 or even the chemistry games of Mi Alegría. It was until recently that I was able to combine my knowledge as a communicator and my experience drawing comics, with my passion for science. Especially seeing what was possible to meet some members of The Big Van Theory or the animations of Ted-Ed and Kurzgesagt. What type of technology, technique or software do you use? We use a good part of the Adobe suite. Many of the drawings are made by hand and colored with Photoshop. We edit the audio with Audition. Then we use Animate to compose all the animation. Occasionally we add effects with After Effects and at the end we edit with Premiere. I use a Mac Book Pro to work. How long does it take to make a video and what is the financing? Although we publish a weekly video, it takes 2 weeks for the production of each video. During the first years, we financed it ourselves. Now we have the support of people who make donations through Patreon and with some sponsors. It is also a great help to receive a percentage for the monetization of ads on YouTube. What is the reason for this project? and to whom is it directed? We want to promote curiosity, the openness of mind, skepticism. We would love to promote scientific thinking in non-specialists. Why can CuriosaMente be a source of inspiration for others? Well, in fact, many people have told us that they tell us that our work has inspired them to choose a career or to continue their studies. Most simply tell us that their curiosity has been awakened.